Southern France has attracted creative people for centuries. They found themselves there for various reasons yet all were influenced by the beauty of this spectacular part of the world. Whether they were native to the region, the foreign wealthy elite attracted to the glamour of the Cote d’Azur, ailing artists advised to relocate to the Mediterranean for health reasons, those in search of a new landscape for inspiration or running from home to a new way of life in a new culture. 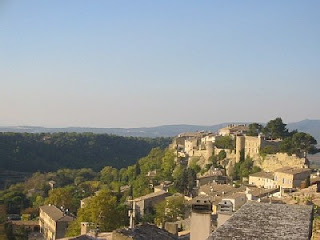 Travellers to Southern France can follow in the footsteps of celebrated writers, experiencing the same landscapes and towns that they wrote about, that inspired them, or where they lived while creating their famous works. 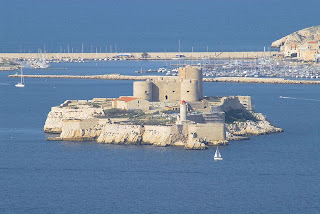 The Chateau d’If, near Marseilles, was used as the backdrop for Dumas’ novel The Count of Monte Cristo. The Chateau was originally built as a fortress to defend Marseilles from attack. Later, it was turned into a prison due to its isolation and the dangerous waters which surround it - much like Alcatraz in the USA. It became known as one of the most notorious prisons in the country. When Dumas decided to use it as the setting for his book, it became internationally famous. It has been a popular tourist attraction since it was opened to the public in 1890. In Dumas’ book, the main characters are imprisoned in the Chateau - one of whom manages to escape after 14 years. However, in real life no prisoner ever escaped from this fortress. Whether you appreciate the literary merits of this epic, or simply are an avid fan of Andrew Lloyd Weber, you can’t miss out on visiting the little town which acts as the backdrop for the first chapters of Victor Hugo’s Les Miserables. Digne-les-Bains is a beautiful town surrounded by forested mountains between Provence and the Alps. 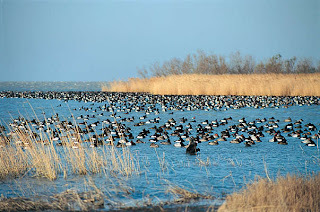 It is well known for its hot thermal springs. It and a lavender festival. It also happens to be one of the principle lavender regions of France, and it hosts a great Lavender Festival each year. This novel which celebrates the jazz age was itself written in a famous Jazz town, Juan-les-Pins. The annual summer jazz festival here is well known and has staged many famous Jazz musicians. Juan-les-pins is also a sister city to that giant of jazz towns: New Orleans. 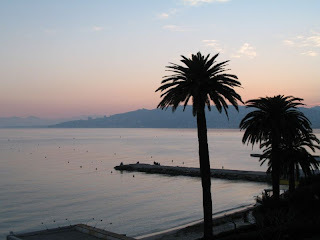 Tender is the Night has a special beauty about it - perhaps partly influenced by the spectacular beauty of Juan-les-Pins. The town is situated between Nice and Cannes, featuring a casino, nightclubs and beaches. It has become a major holiday destination popular with the international jet-set. 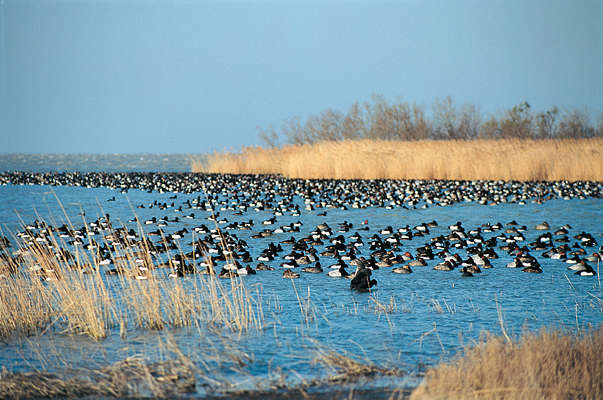 Hemingway begins his novel with a honeymoon in the Camargue - a beautiful region teeming with wildlife. The book continues with the French Riviera and Cote d’Azur as its backdrop, as it explores the intricacies of intimacy, gender and identity. The novel is also an exploration of the artist, and Hemingway paints an interesting portrait. Suskind’s novel is a story of scent and murder. It explores identity, morality and the emotional meanings that can be attached to our sense of smell. The novel is very aptly set in the town of Grasse which is famous for its perfume. The perfume industry began here almost as an accident - a side project to a prosperous textile industry - and now it is known as the perfume capital of the world. Let yourself be seduced by the scents and smells in this pretty town - try the many different perfumes on offer and decide which best represents your own identity! 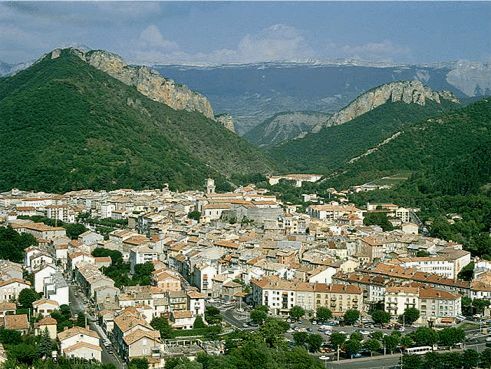 In the late 1980’s, a British author moved to the small town of Menerbes and decided to write a book about a year in his life in this picturesque town. His book became an international success and word of Menerbes beauty spread with the book's popularity. Today, it can be a little overcrowded in peak season, but it would take more than that to take away from the town - perched precariously on a hillside, it is both stunning from a distance and also from within the town itself. The view of the valleys, hills and vineyards is definitely worth the journey. We have beautiful luxury villas close to all these locations - please see our website for a full selection of stunning holiday homes. One in particular that we love is the AM015A Golfe Juan-Les-Pins, located in Juan-les-pins, where 'Tender is the night' was written. This enormous villa can house up to 13 people in 7 ensuite bedrooms. It is positioned in an exclusive position with incredible sea views.